This vintage booklet was published by KERR Glass MFG. Corp in 1941. 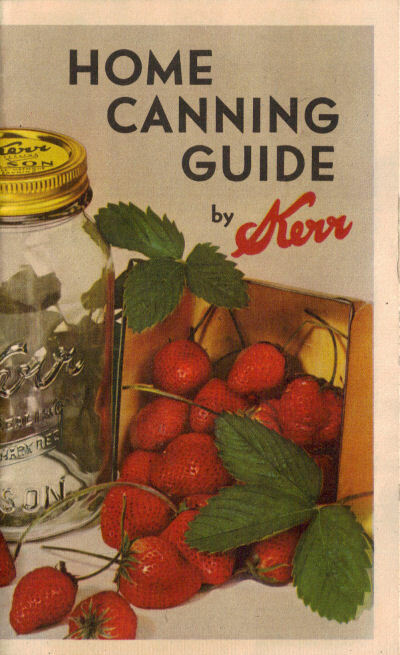 The booklet provides directions for different methods of food preservation as well as canning recipes. The booklet is 14 pages and has been formatted per section (Canning Time Tables on one page, Recipes on one page, etc. ).